This rich, earthy fragrance brings back memories of the ‘70s. It’s the woody aroma of pungent patchouli leaves with a sophisticated musk background. COMMENTS: This smells very nice! Great scent retention. I made cp soap with this and combined with sandalwood and it smell great! COMMENTS: I a not a fan of patchouli, but I get requests for it all the time. This smells exactly like what you would expect patchouli to smell like. Definitely strong! COMMENTS: I use this product for our beard oils and other men’s products. It’s a great earthy smell. COMMENTS: Smells good, very patchouli like. I like to mix with a sugar or vanilla scent. COMMENTS: We love this scent. Very light when added to products though. Will add more next time. COMMENTS: I personally have never been a fan of patchouli, but I have customers that adore the soap using this fragrance oil. I also recently had a request for a patchouli lavender soap and I have to admit, I ended up really loving the scent as did everyone who smelled it. This behaves well in my cold process soap and I will continue to reorder. COMMENTS: A little light but the scent is very lovely. Patchouli is always a favorite and this one hits the mark. Works well in CP soap. COMMENTS: Patchouli is a hard one to get this one nailed it and my customers were very happy with it. COMMENTS: Customers have requested this scent and is a great addition to my business. COMMENTS: This patchouli is the best I ordered. reordering now. "Crafters Choice™ Patchouli Fragrance Oil 102"
COMMENTS: Smells like Patchouli. Customers love this scent. I have trouble keeping my melt and pour soaps in stock. "It's great! I hate it! LOL!" COMMENTS: I have to start out by sincerely apologizing to patchouli lovers everywhere. I mean absolutely no disrespect by saying that when it comes to the love/hate spectrum of patchouli, I am the latter. Blended with other scents, I'm good with it, but on its own, I don't care for it AT ALL. All scent preferences are different though, and I respect that without judgment. I remember telling myself once that the the ONLY reason I would EVER buy straight-up patchouli was if it was specifically asked for. Well, that day has come... My sister-in-law asked if I would make a cologne for her dad, who is a die-hard patchouli lover. Well, I can honestly say that even though I personally dislike patchouli, this is absolutely a 5 star worthy FO! I hate it... And that's a good thing! LOL! The second I opened the bottle, I made that same face I always make when I smell patchouli EO, which leaves this hater admitting that this is a truly remarkable FO in that it smells EXACTLY like the real deal! In fact, had I had liked this FO, I would have been concerned that it wasn't an authentic aroma. Well, authentic it IS! And true to patchouli EO it is STRONG! It's so incredibly weird to say this, but I am SO HAPPY with this FO! Because of MY reaction to it, I KNOW my sister-in-law's dad is going to LOVE it! If you're looking for a FO that is a dead-ringer for Patchouli EO, THIS IS IT!!! • My point of view! COMMENTS: As many fragrance oils as I mess with, I can barely smell this fragrance in products. Even when I made sure it was the first fragrance I would try to smell for the day, it was just too light for me to smell. I will order again because I do have customers who want this fragrance and it's high rated, as a matter of fact, I used it for the first time this past week making a lotion and soap for a customer. She picked up the Patchouli in the Mayan Gold and told me how she loved this scent, I told her I had the EO and the FO that was solely this fragrance alone without other notes...but after making it, I've held off taking them to her, afraid she is going to be disappointed in the subtle fragrance. It's a beautiful fragrance, just so weak. COMMENTS: This is a great fragrance - smells just like patchouli EO, and behaved well for me in CP. COMMENTS: I guess I was looking for a richer patchouli scent, but not so much. I used the hot process method and encountered no problems. I have to admit though that it scents nice and light in a dry oil spray. • I like how it scents in a dry oil spray. COMMENTS: I used this in a body spray blend and also a hair oil blend. I ended up adding a good amount of Patchouli essential oil to help boost the patchouli notes of my scent as I don't think this fragrance oil alone quite did it. But overall, it's a pretty nice scent. COMMENTS: Very strong and smells great mixed with Sandalwood FO. COMMENTS: This was a disappointment but then again, I'm not partial to musky scents but I do have customers who like it. COMMENTS: A new bottle of patchouli essential oil does not smell very good to me, but after a couple months it deepens and gets stronger. I prefer the smell of that aged patchouli - this smells almost as good as an aged patchouli. Very happy with it. "Wish I had tried this sooner!" COMMENTS: So many of my customers have requested a true patchouli scented soap with a matching lotion. I had tried several blends & they were just OK, didn't stick well in CP soap & seemed to fade away if it sat for very long after cure. NOT this one, it smells so so true to Patchouli, but it has this softer side to it, & I have to say it may end up being a favorite even of mine. It absolutely was great to soap with, no A&D, soaped around 100 degrees. I have customers just waiting for this to hit my shelves, & I am certain it's going to be a best seller. I sure hope this scent does not fade...still on my cure rack, so far, so good. • Nothing at this time. COMMENTS: I have a customer that loves patchouli everything. I was happy to find this for his favorite beard balm and his wife for her soap. Great scent performs well. COMMENTS: Very pleasant tender fragrance. Does not discolor. COMMENTS: I love this because it is a strong patchouli that smells like the EO. COMMENTS: I always end up coming back to this patchouli. I blend a little of the patchouli e-o to give it more of a kick. Is lighter that I want. But doesn't smell fake. COMMENTS: True patchouli scent that is fabulous mixed with other scents. A customer favorite. COMMENTS: A favorite of my customers. I usually add .3oz EO as well to help the scent along. COMMENTS: Reminds me of my youth! Not quite the same as the 70s, but overall very good. COMMENTS: This is an amazing patchouli. Not too harsh, and not perfumery. I used it in a cold process soap with beer. The amazing thing is, I used a brown ale and this fragrance oil, and the soap came out pure white. But it also smells amazing, like the best patchouli ever. I used beer with my lye solution. The soap is great! I gave a bar to my nephew tonight, wonderful test subject, and he just kept smelling it and saying "I love this! This is great!" He loved it even more than the coffee soap. I will buy this again and again! Best patchouli fragrance ever! COMMENTS: Blends well with other FO and cures well. COMMENTS: This smells so much like original patchouli! Very good match! out of bottle it smelled great! however in product and even as I was making it the scent was really weak it seemed....I think the next time I make it I am going to up the scent more....I used 4.7% You def. need more of the scent! But other than that everything was great! It did not rice, it worked beautifully! "Patchouli Fragrance Oil - A+"
COMMENTS: I use this fragrance oil solely in CP and it is a dream to work with. No acceleration, separation, ricing or discoloration. I have time to do a nice swirl with this. My customers love it and it really does smell like the essential oil. A must have! 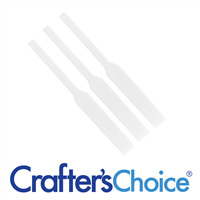 "Crafters Choice™ Patchouli Fragrance Oil 102 "
COMMENTS: I purchased this fragrance because I was getting multiple requests for a Patchouli fragranced soap. This is definitely patchouli! It is easy to work with - does not accelerate trace or morph base color. But the most important thing is that it's a great seller! I'll have to admit, it's not a fragrance I like in the least, but people who want patchouli love this scent. It's pretty strong too, so I recommend using about 2oz fragrance to about 50oz soap. "Fantastic fragrance! Customers love it!!" COMMENTS: Smells just like the real thing! My customers love it! I use it in lotions and body butter. COMMENTS: Forgive me if I'm mistaken, but I'm convinced this is an EO, not a FO. It smells just like the real thing! COMMENTS: I loved this scent in cp soap and I received a lot of positive feedback from customers also! Will purchase again. COMMENTS: Fabulous true patchouli fragrance. Exactly what patchouli lovers are looking for. Customers keep coming back for more. 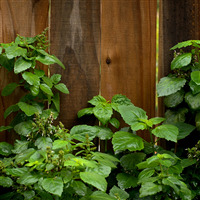 COMMENTS: My Patchouli loving customers love this in soap! "Every bit as good as patchouli essential oil"
COMMENTS: I use this in cold process soap mixed with patchouli essential oil. Honestly i think this is the best patchouli fragrance oil i have from any supplier. My customers cannot tell the difference from soap made this from soap made with the essential oil. Soaps very well with no acceleration or discoloration. I find the scent stays strong and true even afer many moths. COMMENTS: This is hands down the best patchouli fragrance oil, smells very similar to the real thing. I tried many different ones trying to find something to blend with the essential oil in soaps and this one is clearly the winner! Performs great in cold process soap too. COMMENTS: This scent takes me to spas and massages! It's therapy it's musky it's woodsy it's relaxing... it's a great product and everyone should try it at least once! COMMENTS: It does not accelerate the soap in CP the smell blends well with a my scents and it gives me the perfect citrus lavender blend for my body butters. COMMENTS: Patchouli is one of my favorite under notes to add to bright scents that need a little balancing. 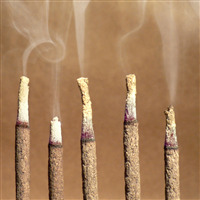 It adds an earthy organic balance to many complementary fragrances. I always keep some on hand. COMMENTS: I have tried Patchouli from other supplier but this is the Best of them all. Great in cold process soap. Scent last longer and smell is getting better as the soap aged. COMMENTS: This one flies off the shelves! It thins trace in my cp soap and gives plenty of time for swirling! COMMENTS: This scent stays months after curing my CP soaps! Great buy! COMMENTS: A perfect pachouli for me, subtle and warm, no harsh notes. Behaves beautifully in cp. • Behaves well in cp, no acceleration. COMMENTS: I love this fragrance oil! I can mix this with the essential oil and the customers love it! Of course I make the soap into a rainbow swirl of colors. COMMENTS: If you want to go back to the days of music festivals and one love, this is the scent, man...It smells wonderfully in CP soap even after months of curing. My partner is not a fan of the body butter, citing that it is a very heavy scent. It is, but many people enjoy it, I get orders from across the nation for this soap and the body butter. COMMENTS: I used this in hot process soap. It is a light scent, when I smell the soap I can not smell the FO, but when I wash with it it has a nice light scent of patchouli, does not give me a headache. I don't like patchouli, so I will see if my customers like it, they have been asking for patchouli but the EO gives me a headache. "Very good patchouli fragrance oil!" COMMENTS: I really like this Patchouli Fragrance Oil. It smells very much like the essential oil, only lighter.
" 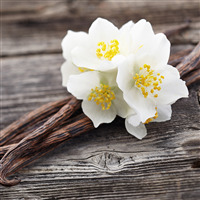 Crafters Choice™ Patchouli Fragrance Oil 102"
COMMENTS: This is an earthy, woodsy fragrance. Many requests for this. Nice scent but not my favorite. COMMENTS: I didn't care of the sense at first, but it does growth on you, it is one of my most requested FO!! "Nice smelling Patchouli, but isn't very strong"
COMMENTS: This is a fantastic fragrance that represents everything I love about patchouli, without the overpowering stigma that is often associated with the scent. The down side of that is that the scent comes off weak when used in with a melt & pour soap base and doesn't last on the skin. COMMENTS: Cannot tell it's a fragrance it smells just like the essential oil. Really love it...it's a keeper. COMMENTS: This fragrance is quite earthy. I prefer to blend this with other scents. However for the die hard patchouli fans (there are lots of them)this is a hit! Soaps like a dream. COMMENTS: Beautiful earthy Patchouli. Unfortunately the fragrance is so light that everyone says they cannot smell it at all. I sell in an open air market, so this is not good for me, and therefore, do not sell this one anymore. However, if you love Patchouli, this is a great representation particularly if you like a very lightly fragrant soap. COMMENTS: This is the only patchouli that my customers have liked and has been one of my top sellers for a few years. "Disappointed in the scent of this fragrance oil"
COMMENTS: Most of my fragrance oils I buy from this company, especially the more expensive ones, are very nice - this one was a let down. It had no more fragrance than a bottle of canola oil, so I won't be able to use it to make soap or candle melts. I have patchouli from other companies and they smell wonderful. I figured they had a bad batch of patchouli and it might not be mixed well enough in the vat or defective and they should know about it. It was not a cheap bottle and I took quite a hit. Hope no one else buys this until they get the problem fixed. I called the company but am still waiting to hear what they will do. A little credit would be the best thing as it will be quite expensive to send the bottle back and I have already invested in the product and lost money. COMMENTS: I usually work with the pure essential oil. This fragrance oil is a bit lighter, which has a certain appeal to people who are overwhelmed by the real McCoy. Much better scent than I expected to have from a fragrance oil. COMMENTS: This is a great substitute for the eo. It is a little milder than the eo so, I always add a little of the eo. I purchased a large bottle so I will store it in my delicate soap supplies refrigerator. I will keep this on hand. COMMENTS: I will admit that I have not always been a huge patchouli fan. I decided to start playing around with this scent in my CP soaps because my husband loves the smell of patchouli. This FO is a nice balanced patchouli scent that is similar to patchouli EO. It is not an "in your face" patchouli that is overwhelming. Grreat on its own and perfect for blending. I am happy with my purchase and would order again. I am actually turning into a bit of a patchouli fan! COMMENTS: I live in a heavy hippy county in Virginia, and think this will fill the patchouli gap that has been here. Smells fine, I'm doing 3 oz fo and adding .75 oz patchouli eo just to amp it up some. I like strong fragrances, but if you want milder, just skip the eo. I'm happy! "I'd like to give more stars, but..."
COMMENTS: This is a quality fragrance oil, I'm sure. Unfortunately it just doesn't age the way natural patchouli oil does. What I mean by this is, patchouli essential oil improves with age/exposure and becomes a nice, clean, mellow earthy scent. This fragrance oil gives off the idea that there is patchouli in there - but it simply remains pungent and musky-funky. 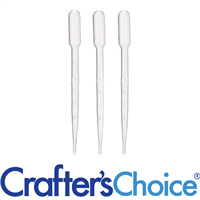 COMMENTS: Crafters Choice™ Patchouli Fragrance Oil 102 my customers love this stuff. COMMENTS: As true of a patchouli scent your gonna get without actually buying the EO. You cant really beat WSP's price and speed of shipping. COMMENTS: I have tried many, many patchouli oils, and this has by far the best scent I have ever tried. I absolutely love it, wonderful in body butters, candles, room sprays, you name it. I will never have to search for a nice patchouli scent again! Thank you!! "Next best to the pure 100% version"
COMMENTS: I used this patchouli fragrance oil for perfume and mixed it with orange, clove and almond oil for a very festive fragrance that tons of people asked me about! I prefer the 100 pure one but this is more affordable for larger amounts and smells very nice. "Very good dupe of the FO "
COMMENTS: This patchouli smells almost exactly like the FO. The price is much lower than the FO, so it's a great buy. "Patchouli used with Lavender buds"
COMMENTS: I used this fragrance with lavender buds and it worked out great. COMMENTS: I made lotion for my friend with this one and she loved it. COMMENTS: I really like this fragrance oil. Its very earthy and is a great option if you don't want to use the expensive eo. My customers like it too. COMMENTS: Let me start out by saying I don't like Patchouli. But I love this one... I will be buying more. COMMENTS: I was looking for a reasonable-priced alternative to patchouli EO. Based on the reviews and my prior experience with Crafters Choice essential oils, I decided to give it a try. Sorry to say that it is VERY disappointing in my CP soap. My soap is about 5 days old, so it is freshly cut and certainly just starting to cure, but at the max. usage the scent is virtually undetectable. Hoping that it smells better after a full cure! If it gets better I will revise my review. Hoping to use it in soy candles, bath bombs and lotions with better results. COMMENTS: Love this fragrance for our soap. COMMENTS: For the lower price the product is ok, however if you want a true scent, I would recommend getting the pure essential oil. COMMENTS: This is one if those scents that I HAVE to keep on hand!! Its a quick seller that many keep coming back for! COMMENTS: Those who love Patchouli, love this scent in my soaps. Its one of the number one scents people ask for and I am happy to deliver this scent. It behaves very well in my cp soap. COMMENTS: Could be a little stronger, but we use in conjunction with patchouli eo to make it perfect. COMMENTS: I use this as a combo to make my own fragrance and it is my personal favorite! Can't get enough - back to buy another bottle. COMMENTS: This rich, earthy fragrance of Patchouli is one of those fragrances that you love or hate - my customers love it. COMMENTS: I love WSP patchouli fragrance oil. It smells just like the EO can barely tell them apart. I use it in my CP soap and always get a compliment. It soaps beautifully with no fading after soap cures. WSP always have the best products to use. COMMENTS: Perfect for my mp hemp soap. Nice and strong. Much lighter in CP. Next time I'll blend it with another FO. All and all, wonderful patchouli scent! COMMENTS: This brought me back to the 70's for sure...I just loved this. Sold out quickly. COMMENTS: I wasn't sure I liked it, but my customer requested it and was pleased with this fragrance. COMMENTS: I used this for cold process soap. This fragrance smell awesome and did great in cold process without any acceleration and so far the fragrance is lasting. COMMENTS: I purchased this fragrance oil for a customer who wanted to make their own body spray/cologne. As I'd not tried this F/0 before, they let me smell it and it was WONDERFUL - just what you want patchouli to be. Most importantly, THEY love it and are very proud of their creation. I'll be ordering my own bottle soon to try in lotions, soy wax melts, bath bombs and maybe even some soaps! COMMENTS: Strong, grows on you, I needed to get used to it. If I used less than other FOs, it makes a nice smelling product. I may have used too much, most customers (who asked for this FO in the first place) now tell me it is a bit strong. Last well in soap and body whip (ha! - probably due to adding too much at one time). I'm sure it is nice, just need to practice on usage levels. COMMENTS: Patchouli lovers will love this scent. It works well in cold process soap. It did not accelerate like the honey patchouli does. I will be buying this again. COMMENTS: It smells exactly like Patchouli. My Father's friend loves the fragrance and as a gift for her birthday I bought this to make her a line of products with it. She adored it and stated she cannot stop wearing it. It's sophisticated and earthy without being too overpowering despite the fact that usually I find this type of fragrance to be just that. It holds up well in our products and when mixed with other oils it still comes through by offering an earthy, musky scent that darkens up sweeter fragrance oils perfectly. COMMENTS: At first I didn't care for this scent, but it is now growing on me, especially when mixed with other fragrances. COMMENTS: Smells exactly like the real thing. I can't believe it. Why spend $$$ on the EO when it is so expensive right now? COMMENTS: Customers Love this scent. It's a love hate scent. For those who love Patchouli you will love this one. Soaps great. COMMENTS: I am not a patchouli fan but my customers that are have told me that this is "the one!" Super strong throw in soy! COMMENTS: Faded very quickly in my cold process soap. Possibly I could use just a bit more. COMMENTS: This smells just like the essential oil to me. The main difference being this does not smell like aged essential oil but fresh. The price of the essential oil caused me to seek a replacement and this is it! COMMENTS: This is the truest patchouli scent I have found...I love it!! COMMENTS: Wonderful! Very strong/long lasting scent. 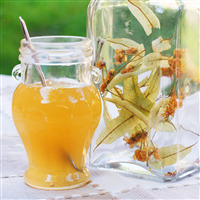 You don't need to use much of this to make a wonderful and long lasting perfume oil. I diluted with olive oil and use a little each morning. The scent lasts all day! I mixed with a tiny bit of white tea and ginger. Smells good. "Patchouli - The good ole days"
COMMENTS: This Patchouli reminds me of the good ole days. A must have to have in your collection of scents. COMMENTS: This smells almost exactly like the essential oil. 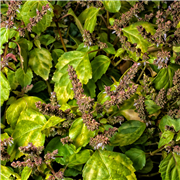 People either love or hate patchouli, and those who love it love this scent. Doesn't accelerate trace or discolor the soap. COMMENTS: I was trying to replace my rather expensive Essential Oil with this Patchouli Fragrance Oil. While it is not quite as good as my other one, I can definitely use it in combination to try and keep my costs down for my customers. It is one of the best substitute I've found so far. I will continue to use it. COMMENTS: This is one of our best selling scents. We've smelled a lot of different brands but nothing compares to this one! COMMENTS: Have had many customers asking me for a patchoulli scent that they've not been able to find anywhere else, so I broke down and finally bought it! (It smells like dirt to me..) But I've had rave reviews and had a customer buy all 5 wax melts and 2 canldes from me. Will definitely keep this in stock! COMMENTS: I can not tell the difference between this fragrance oil and patchouli essential oil. No problems in cold process soaps. COMMENTS: I really liked this Patchouli. I have return customers with this one. Patchouli is one of my favorites! COMMENTS: it smells very true to the essential oil. good quality for a good price. COMMENTS: Smells great. Behaved perfectly in cp soap. COMMENTS: Wanted to try a patchouli fragrance oil vs. an essential oil and made soy candles and tarts with it. The fragrance is fairly light, so I had to up my percentages, but was very happy with the end result when I did. COMMENTS: This is not what I would call a true Patchouli fragrance. At first I thought it was old, and had lost it's fragrance. It has a sort of alcohol, plastic odor to it. I called WSP and they said it's just a lighter scent. Definitely is very light in scent, so much so, that it hardly has any scent at all. I added more than usual into my soap mixture and it still had hardly any smell to it. It is a very weak fragrance oil. I ended up purchasing another Patchouli oil elsewhere to finish my order. I dumped this one in the trash. I have never had any other problems with WSP fragrance oils, this one is the first and was very disappointed with it. COMMENTS: I used Patchouli oil 102 with Sandalwood 104 this morning in a CP soap, and it smells amazing.. I am not a fan of Patchouli, but this one is very nice.. COMMENTS: I ordered this soap for a specific customer but this scent has become a best seller .it was easy to work with and didn't discolor . COMMENTS: I absolutely love your Patchouli FO. I use it in my products that I make. It mixes well with orange EO for a bar of Orange & patchouli. COMMENTS: This is a little bit weaker than a Patchouli EO, but it is a good substitute. I like it better blended with other scents than on its own. "Patchouli 102 is a great oil in CP soap"
COMMENTS: I just added this rich earthly scent this fall after several customers asked for a Patchouli Fragrance. It has been a great seller moving closely to the top of my list for sales. I personally am not a lover of the fragrance but I have certainly found out it is a must in the CP soap line. COMMENTS: I love the scent but you have to use a lot to get a hearty patchouli scent. COMMENTS: Worked great in Cold Process Soap. The scent is unbelievably strong! Sticks very well. The only thing I don't like is the bottles the fragrances come in. When pouring because of the curve toward the top it drips down the side a lot and I wasted some fragrance. Maybe it was just me though. COMMENTS: This is such a Hippie Chick smell.... LOVE IT. LOVE it... LOVE it. COMMENTS: While it does smell great, it is a bit weak so I add it along with patchouli essential oil to extend the more expensive oil. Works great that way! COMMENTS: I absolutely love this patchouli. It smells more like a EO than a FO. It is a soft (not weak) scent that works well alone or paired with sometime else. It came through beautifully in my CP soap. I might keep the whole batch for myself! COMMENTS: Not strong enough. Faded out of my cold processed soap. COMMENTS: Nice scent on its own but other fragrance oils mix well. Just experiment & create some new scents. COMMENTS: The fragrance of Patchouli is one of the best Patchouli fragrances I have smelled. People love this fragrance. It is definitely a 60's hippie smell and living near Sedona, this fragrance fits in perfectly. It blends well with the goat milk and oils. COMMENTS: If you care looking for a classic patchouli fragrance, this is it! No complaints and it works well in MP soap. COMMENTS: One of my favorite...WSP makes this smell so good! Does not fade overtime (so far). I will order again in larger amount! COMMENTS: This scent is new to me. It grew on me and now it is my favorite. This is a pleasant earthy scent. If you enjoy the earthiness of dirt this is great for you. COMMENTS: I'm a patchouli lover from back in the 60's and 70's and was really excited to get this FO. I used it the other day in MP soap and I have to say I'm not that pleased. While it's very true to a good patchouli scent, it's very weak. You definitely need to use a lot in your soap if you want to get a good, strong patchouli scent to it. It's much weaker then any of the other FO's I've used and for that reason I've rated it average. It also does cloud up clear glycerin soap as well. I'll be buying it again but will need to use about double what I normally use to get a good strong patchouli scent to my soaps. COMMENTS: I kept hearing about patchouli and the many cosmetic products that include it. So, naturally i was intrigued and ordered a bottle. The information i read said the fragrance smells somewhat like dirt. Suffice it to say, it's not the most pleasant smell initially, but the scent grows on you. I made an orange patchouli soap that i just love. I pass by my curing rack and can't help but to sniff it each time. I'm looking forward to doing some more fragrance blends using this oil. COMMENTS: A favorite among men--much more masculine appeal. Wonderful, aromatic soap. COMMENTS: This FO is the real deal. With the price of Patchouli essential oil I knew it would be cost prohibitive for me but this FO smells fantastic! My customers are very happy with the fragrance in my HP soap. COMMENTS: A warm earthy scent not over powering. Blends nicely with other scents and bases. Love it!!! COMMENTS: This is a good well rounded Patchouli, that stick well in MP soap. It is attractive and Patchouli fans love it. "So much more affordable than the EO"
COMMENTS: I started using this after the cost of Patchouli EO went up significantly. I don't notice much of a difference, I think WSP has done a great job of getting the fragrance close to the EO, customers love it! COMMENTS: Several customers requested "special order" of patchouli scented soap bar. Combined the patchouli with olive oil & aloe base. Have been asked if I would be able to continue to make the special orders- a winner.